Doc: Are patient portals secure? Keith Roach To Your Health Published 12:03 AM EDT Oct 14, 2018 Dear Dr. Roach: What are your thoughts about the security and integrity of patient portals? Almost all of the physicians we see offer them now; some of them pushing their patients to sign up. While we understand that they offer advantages for the patient and the physician’s office, we have been very reluctant to use them. The main reason is the security of sensitive information and separation from other patients’ information. Several years ago, our previous doctor converted his patients’ records to electronic format. Shortly thereafter, at an appointment, the doctor reviewed my husband’s medical history with him and talked about a condition that had never been diagnosed previously. He maintained that since it was in my husband’s record, it had to be correct. We have since transferred to another doctor. S.K.A. Dear S.K.A. : I would try not to let your bad experience with the electronic … [Read more...] about Doc: Are patient portals secure? About Rebecca Vesely Rebecca Vesely is AHCJ's topic leader on health information technology and a freelance writer. She has written about health, science and medicine for AFP, the Bay Area News Group, Modern Healthcare, Wired, Scientific American online and many other news outlets. View all posts by Rebecca Vesely → Patient portals — those consumer-facing websites that enable patients to access their medical information securely and communicate with their doctor — have been around for at least 15 years. But with a few exceptions, they end up becoming dead zones. Why? 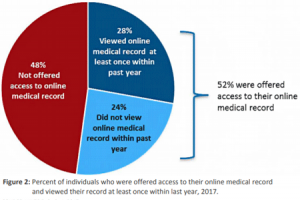 Let’s look at the facts, collected in a data brief published this spring by the Office of the National Coordinator for Health IT (ONC): Only 28 percent of the estimated half of patients offered access to their medical record by a provider or insurer viewed their record in the past year. 24 percent of patients offered access to their medical record did not look at it in the past year. 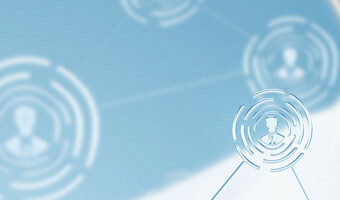 … [Read more...] about Why are patient portals such duds?